Did you know that your brain can help you reach your goals this year? It is estimated that less than 10% of the people who set new year goals actually achieve them. When you put your brain behind it you can greatly increase this percentage. 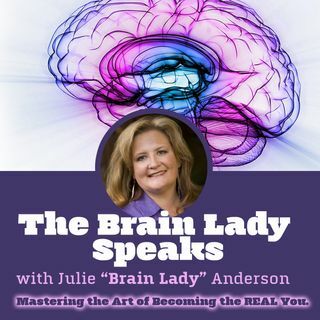 Tune in as Julie Brain Lady Anderson shares the tools and techniques to train your brain to help you reach whatever your vision for this year is!